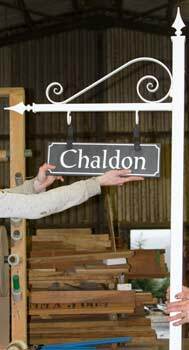 The Sign Maker for the very best in Bespoke Signs & Signage : This page has hanging sign brackets in many styles, suitable for most signs. 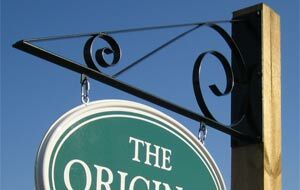 The width of your sign will dictate which hanging brackets are suitable. 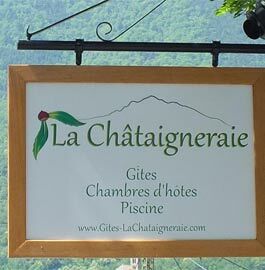 The hanging eyes on the sign need to be at least 25mm in from the edge of the sign. 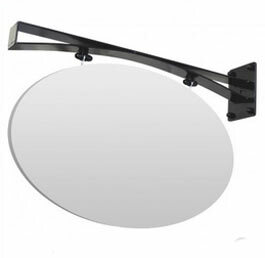 Therefore the sign will need to be at least 50mm larger than distance between the bracket hanging eyes. 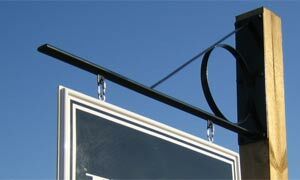 If the hanging sign bracket is to go on a post the PG bracket, TZJECT 9 or a wrought iron bracket is ideal. 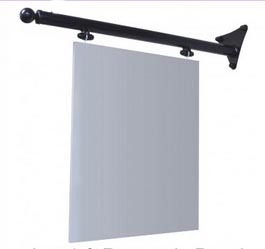 The post mounted Deco, Original or TZJECT 17 is also suitable for a 4" x 5" post. We can also joint in an extra piece of timber onto a posts to suit other brackets. 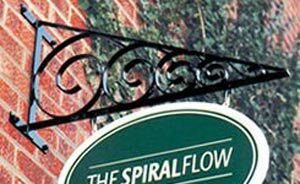 We have a range of Wrought Iron Brackets made for us by a local blacksmith. They are forged on a traditional coal forge. The metal is shaped by hammering, bending and twisting to the required shape. Because they are hand made measurements can vary slightly. 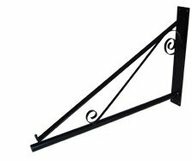 The price includes a wrought iron top fixing plate or two wrought iron rings. For small signs the rings will be offset to the backplate. 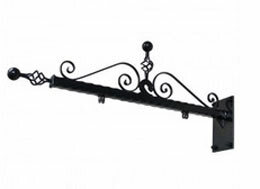 This wrought iron bracket above has a more contemporary look to it. It has been designed for use with stainless steel fittings. The stainless steel eye bolts are included in the cost. Other fittings are extra. 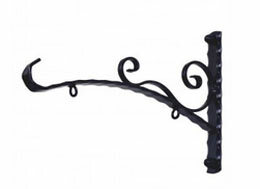 This medieval style wrought iron bracket has a more intricate design. The rings and hangers are also more substantial. 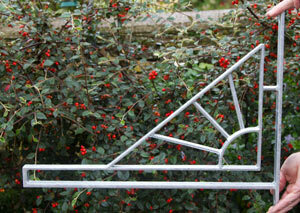 It is a very heavy duty hand made bracket. 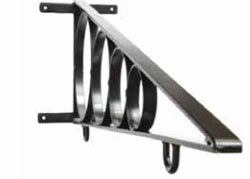 The standard brackets above are ideal for fixing to walls or posts. However our blacksmith will make the fixing plates in other shapes eg round, diamond or square. The price will be the same, but it will take an extra two weeks to make. The brackets which are 1000mm long have a cross shaped fixing plate. 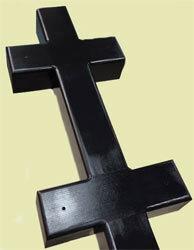 If these are to go on a post, we can add the cross shape to the post as well. 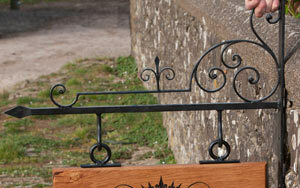 We asked our blackmith to design a metal post with hanging bracket attached and he has done an amazing job. The box steel posts is 2.5m high, 610mm to end box steel horizontal, 730mm in total with 300mm between hooks. These are painted black or white as standard and are normally held in stock. Other sizes and colours can be made to order. 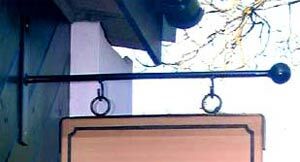 The following three Large Hanging Brackets are again of welded construction and powder coated black, but other colours are available on request. Stainless Steel shackles are included in the price. If you want to fix one of the larger brackets to a wooden post we can adapt the post with two cross bars to fit the bracket. 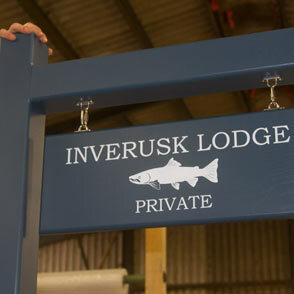 This is another range of sign brackets which are slightly more expensive and made with heavy duty steel. 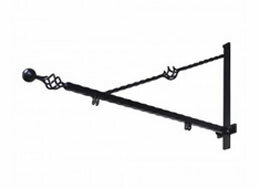 The are nine different brackets styles along with fourteen different panels which are made in 19mm high density foamed PVC. Fittings included with PVC panel (not with bracket). 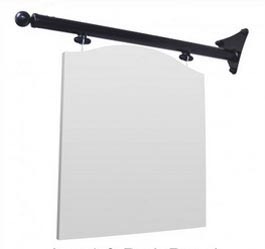 For sign widths 400mm - 850mm Prices £86 - £183 Click here for more details. 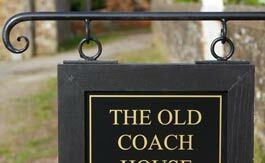 These are simple sign brackets made from heavy duty steel which is then zinc and powder coated black. 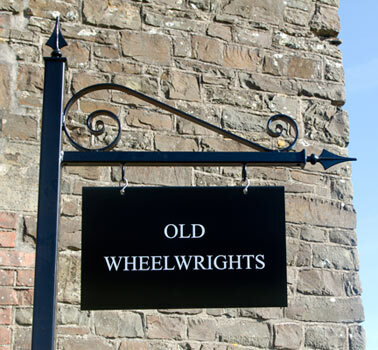 They have a round shaft and a steel ball finial and are supplied with free wall fixings. 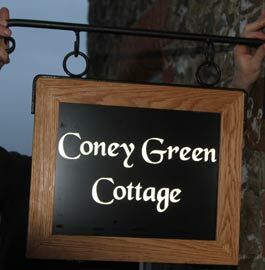 They come in five sizes, the 850mm long sign bracket being the most popular. Fittings included with PVC panel (not with bracket). For sign widths 400mm - 1000mm. Prices £69 - £107 .Click here for more details. 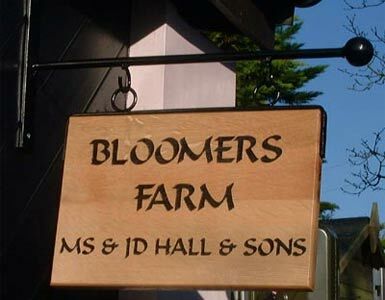 These can be made with oak, iroko, idigbo or softwood and are ideal for hanging signs and are available natural wood, oiled, varnished or painted in a number of Farrow and Ball colours. 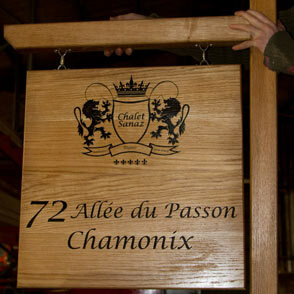 The posts is 8 foot high and the arm is made to suit the sign. Made in the UK. 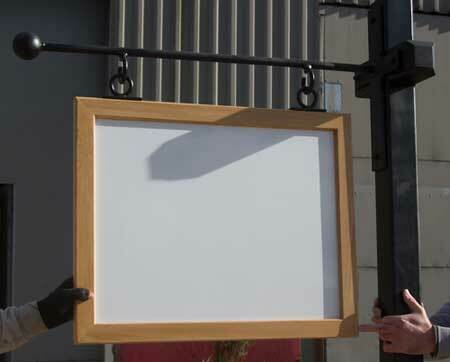 Our team at The Sign Maker looks forward to helping you with your hanging sign bracket.